Wholeness, Healing, or Cold Hard Cash? Healing, Wholeness, or Cold Hard Cash? What is the secret of happiness? Do we need healing, wholeness, or cold hard cash? Our scripture readings and sermon this week focus on these issues. What is it to be wise and how can we best follow the example of Jesus and bring healing and wholeness to the world? Our scripture readings this Sunday will be Wisdom 1:12-15, 2:23-24, 2 Corinthians 8:7-15, and Mark 5:21-43, and we will be singing the hymns O Worship the King, Will you come and Follow Me, When I needed a Neighbour, and Tell Out My Soul! I am currently compiling the All Saints Hymnal. 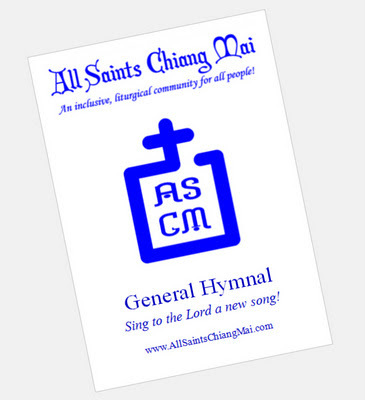 If you have any favourite hymns you would like us to include, please email me at iain@AllSaintsChiangMai.com. A few people have responded, but keep the ideas coming! You can view our current list of music and details of when we have sung each hymn here! Please invite others to join us! Special Service Focusing on Children in Special Need! The Feast of The Holy Innocents usually falls on 28th December, but we will be marking it on the 24th June as we remember the plight of children around the world! If you can, wear red to show your support for those in our prayers. Please share this email and invite your friends and colleagues so we can mourn and pray together! There is a draft email at the bottom of this message which you can copy and paste to let others know. What organisation do you belong to that you could share this with? The world is being rocked by images of children separated from their parents on the US/Mexican border. Whoever is responsible, and whatever the cause, few disagree that this must stop. Christian leaders from across the political and theological spectrum have spoken out! Thankfully, President Trump has now signed an executive order to stop this, but time will tell what happens next. We at All Saints are far away and we may ask what can we do? Well we can pray, and we can write, and we can remember all the children in our world who suffer from loss of parents, war, famine, abuse, and all the other scourges of the world. And we can keep on working to make the world a better place. Our scripture readings this week will be Jeremiah 31:15-17, Revelation 21:1-7, and Matthew 2:13-18, and we will be singing the hymns The Coventry Carol, When Jesus Went to Egypt, Oh Lord the Clouds are Gathering, and Stand up stand up for Jesus! The second hymn in particular focuses on the plight of those children held in detention facilities, but all follow our theme. 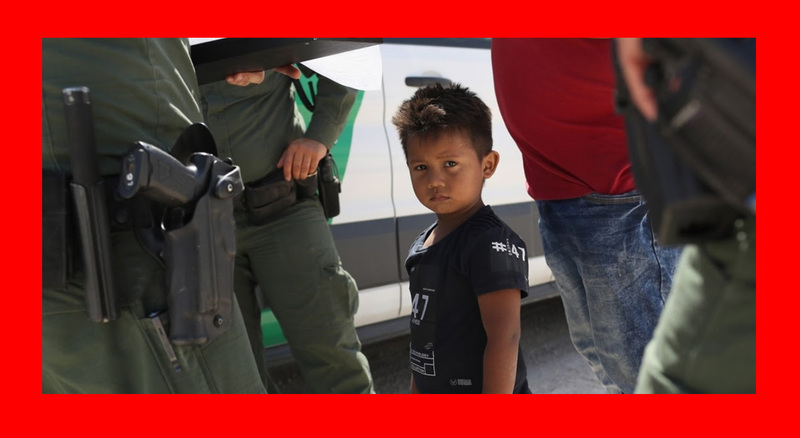 People around the world have been shocked at the images of children separated from their families and held in detention centers at the US/Mexican border. Thankfully, President Trump has now signed an executive order halting this policy, after an outcry from Christian and other leaders from across the political and theological spectrum. 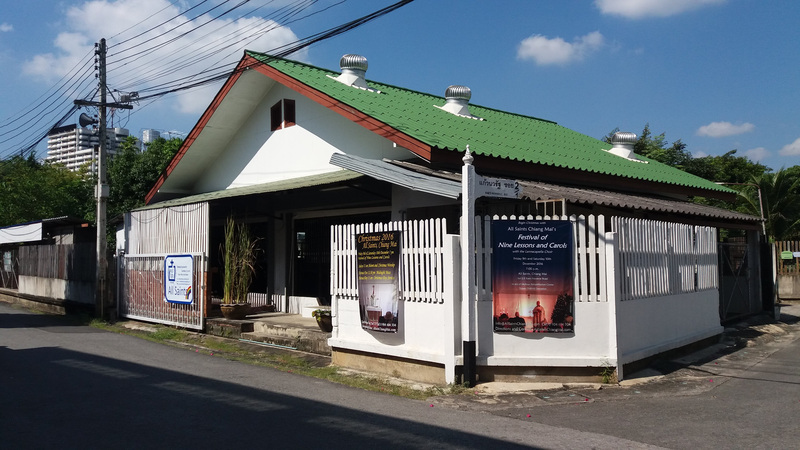 At All Saints, Chiang Mai, this Sunday, 24th June, we will have a special service marking the Feast of the Holy Innocents. This usually falls on 28th December but these recent events have moved us to mark the feast this week. The Holy Innocents were the children killed by King Herod in his attempt to kill the baby Jesus after his visit by the Wise Men. We will use this occasion to remember all children, particularly migrants, who are in danger now. The service will begin at 11 a.m. this Sunday, and we are asking people to wear red, the colour of martyrs, to show their solidarity with children around the world. Please pass this email to anyone you think may be interested. The world is being rocked by images of children separated from their parents on the US/Mexican border. Whoever is responsible, and whatever the cause, few disagree that this must stop. Christian leaders from across the political and theological spectrum have spoken out! We at All Saints are far away and we may ask what can we do? Well we can pray, and we can write, and we can remember all the children in our world who suffer from loss of parents, war, famine, abuse, and all the other scourges of the world. And we can keep on working to make the world a better place. We will be praying this Sunday! Our scripture readings this week will be Job 38:1-11, 2 Corinthians 5:6-17, and Mark 4:35-41, and we will be singing the hymns Jesus Shall Reign Where’er the Sun, A Mighty Fortress, When Jesus Went to Egypt, and All Hail the Power of Jesus’ Name! 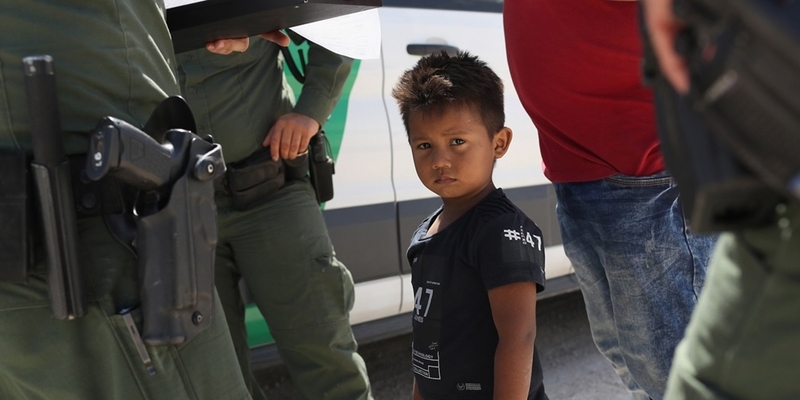 The third hymn focuses on the plight of those children held in detention facilities. The readings can be found via this link and past services can be viewed via the All Saints audio-visual page! Some people have rightly asked what we are doing at All Saints to be of service to those around us. Well, we are doing a lot. 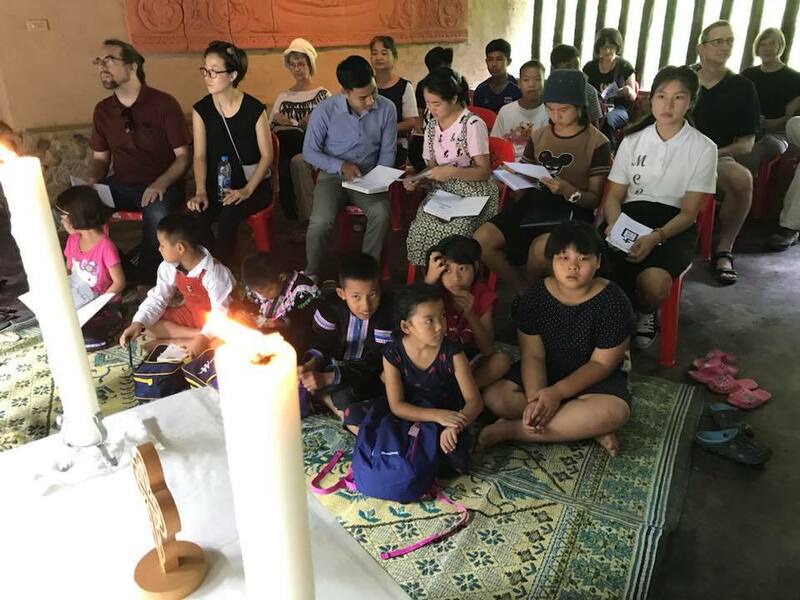 The people of All Saints are working or volunteering in more than half a dozen NGOs and charities, including relief organisations, orphanages, groups working with old people and with children, combating human trafficking, advancing human rights, and others. There are many opportunities if you would like to get involved. After a week of rain, it’s wonderful when the sun comes out! But it is the rain which makes Thailand such a green and beautiful country. 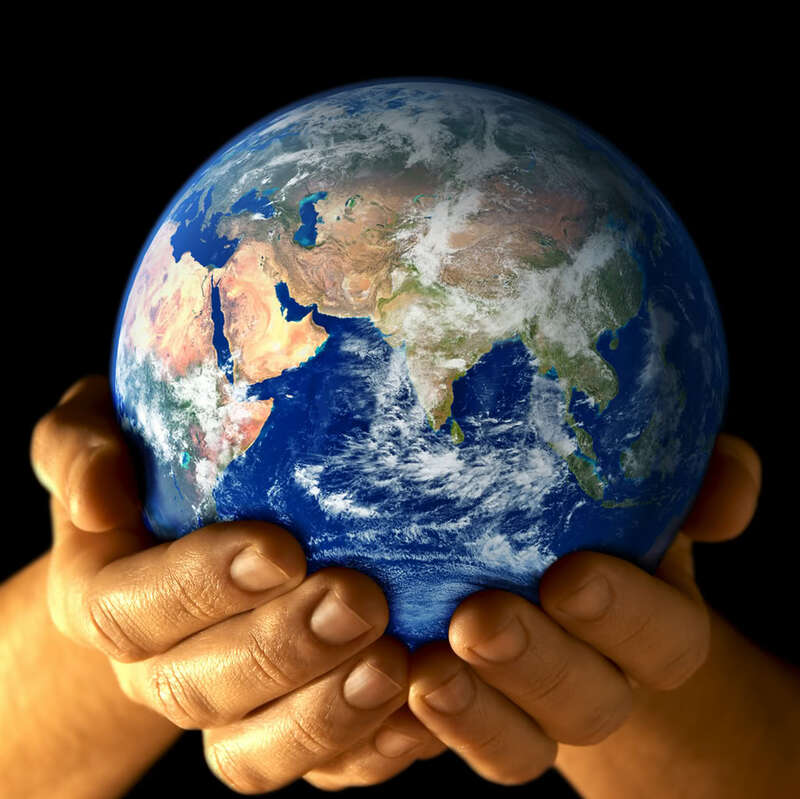 God has created a wonderful world for us to live in. We need to be a thankful people! Join us as we give thanks at All Saints this week! Our readings this week will be Ezekiel 17:22-24, 2 Corinthians 5:6-10, 14-17, and Mark 4:26-34, and we will be singing the hymns All Creatures of our God and King, For the Fruit of All Creation, We Plow the Fields and Scatter, and How Great Thou Art! 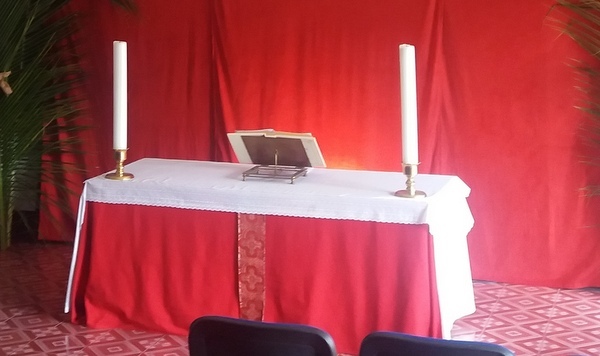 It has been suggested that it would be good to commission a new altar in memory of David. He was one of our church trustees and the Eucharist was deeply meaningful to him. Our current altar is only an ordinary metal-legged table. We would like something made of wood which could bear a plaque in David’s memory. We could have something beautiful carved here in Chiang Mai! Please see Richard our treasurer. We have collected THB 4,050 so far. 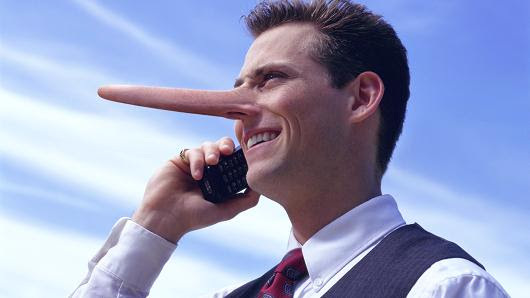 This week’s readings look at lying! First we see Adam and Eve lying in the Garden of Eden, and then we see Jesus being accused of being crazy and demon-possessed and talking about “blaspheming the Holy Spirit”! What’s it all about? Our readings this week will be Genesis 3:8-15, 2 Corinthians 4:13-5:1, and Mark 3:20-35, and we will be singing the hymns Now Thank We All Our God, Open My Eyes that I may See, Give Thanks with a Grateful Heart,and Great is Thy Faithfulness. The readings can be found via this link and past services can be viewed via the All Saints audio-visual page! I am currently compiling the All Saints Hymnal. If you have any favourite hymns you would like us to include, please email me at iain@AllSaintsChiangMai.com. You can view our current list of music and details of when we have sung each hymn here! The All Saints Trustees will be meeting on Thursday 7th June at 6pm. We have lots of important things to discuss including ideas for our building. I hope to be able to give more details to everyone in the coming weeks.